♣ It is safe to say that Will Oldham rarely meets a recording device he doesn’t like. The man who goes by Bonnie ‘Prince’ Billy continues to document feverishly — and yet with fine discrimination — via a steady march through the canon of modern music: rock, country, gospel, and the list goes on... The great Leon Russell’s “Hummingbird” anchors this new 10–inch, and Bonny and his assembled cast of Los Angeles musicians render it an exercise in contrast. Using Russell’s famed Shelter Records soundboard for this oneoff session — with its memories of Petty and Cale, and now owned by one Jonathan Wilson — Bonny introduces a pallet of musical soundscapes, including the keys of “Farmer” Dave Scher, the porch-stomp grooves of Entrance Band rhythm section Paz Lenchantin and Derek James, and the claps of a thousand hands before letting the song fly away in a breeze of soulful psychedelia that stretches nearly twice the original’s length. Next up is a cover of the traditional “Tribulations,” with Cairo Gang main–man Emmett Kelly, in a purely Appalachian reflection on judgment and fear and all manner of Old Testament threat. Rounding out this powerful trio of songs with a nod to Lightnin’ Hopkins and Michael Hurley, Bonny makes another run (this time all by his lonesome) at Merle Haggard’s “Because of Your Eyes.” This one lo–fi, wooly, recorded in a kitchen near a bottle of whiskey sound is often attempted but rarely nailed. Bonny hits it square. ♣ Is it safe to say that Will Oldham has rarely met a recording device he didn’t like? The man who goes by Bonnie ‘Prince’ Billy continues to document feverishly – and yet with fine discrimination via a steady march through the canon of modern music: rock, country, gospel, keep on listing. The great Leon Russell’s Hummingbird bookends this digital EP, and Bonny and his assembled cast of LA musicians render it an exercise in contrast. Using Russell’s famed Shelter Records soundboard for this one-off session–with its memories of Petty and Cale, and now owned by one Jonathan Wilson– Bonny introduces a pallet of musical soundscapes including the keys of “Farmer” Dave Scher, the porch-stomp grooves of Entrance Band rhythm section Paz and Derek and the claps of a thousand hands before letting the song “fly away” in a breeze of soulful psychedelia that stretches nearly twice the original’s length. Next up: a cover of the traditional “Tribulations,” with Cairo Gang mainman Emmett Kelly, in a purely Appalachian reflection on judgment and fear and all manner of Old Testament threat. 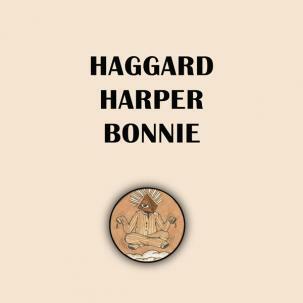 Rounding out this EP, Bonny and band make a run at country master Merle Haggard’s “Because of Your Eyes”. As always, Oldham’s soulfully solemn voice comes to the fore in this spare arrangement. The bottom line is utter beauty. This version of “Because of Your Eyes” is only available on the inaugural (and very limited) Spiritual Pajamas Records 7 inch release, AKA Spiritual 000 which means, perhaps, that it really does not even exist…or does it? You have to ask those who were lucky enough to get one but they will never tell. Bonny fans know the rules. 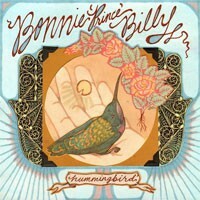 ♣ Breaking through the dirt and shooting upward into our atmosphere is a new variety of exotic Bonnie Prince Billy plant. Stronger. Stinkier. It blooms in low light and cold but thrives in the sun as well, showing enticing spots and eating small creatures as they wander into its jaws. They had it coming, they were weak... and you re next! Beware. Though Beware shares spit with its immediate predecessor, Lie Down in the Light, its reach is longer, its arches more grandiose. Where fiddle and steel contribute their rustic timbre alongside guitars and voices, a thickening thud of low tone rolls beneath, giving the record a bottom that s fun to watch bounce in new clothes. This indensifies the air and heralds Beware as Bonny s most ambidextrous record to date even more so than The Letting Go! A listen or two through and you too may conclude that this could also be the great Bonnie Prince Billy contempo–country record though, as always, the Prince goes his own special way, even when climbing the charts with brawny arms and classic titles like I Don t Belong to Anyone, You Can t Hurt Me Now, and I Am Goodbye.